ILF Consulting Engineers, which acts as the leader of the consortium ArgeSL 2019, and has already been involved in various stages of the SuedLink project, has now also been awarded the contract for the next phase of the SuedLink project, by TenneT and TransnetBW (Germany). Over the next 20 months, ArgeSL 2019, consisting of ILF and its partners Froelich & Sporbeck, as well as GfN, will be performing the services involved in the project phases §19+§20 NABEG, which involve, amongst others, the applications for planning approval, including rough routing, the technical planning as well as project management and environmental planning. 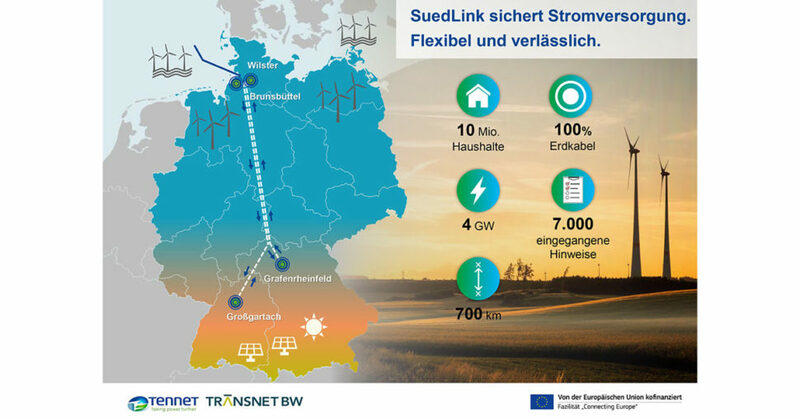 The SuedLink shall transport energy generated in wind parks in northern Germany to southern Germany, thereby serving major consumers in southern Germany via a HVDC underground cable. The SuedLink consists of two point-to-point connections, which will each have a transmission capacity of 2 gigawatts (GW), i.e. a total capacity of 4 GW. This capacity, which is roughly equivalent to the capacity of four nuclear power plants, will supply around 10 million households with electricity. As Germany’s largest infrastructure project to date, the SuedLink project sets new international standards, being the first project of its kind in the field of underground cables. 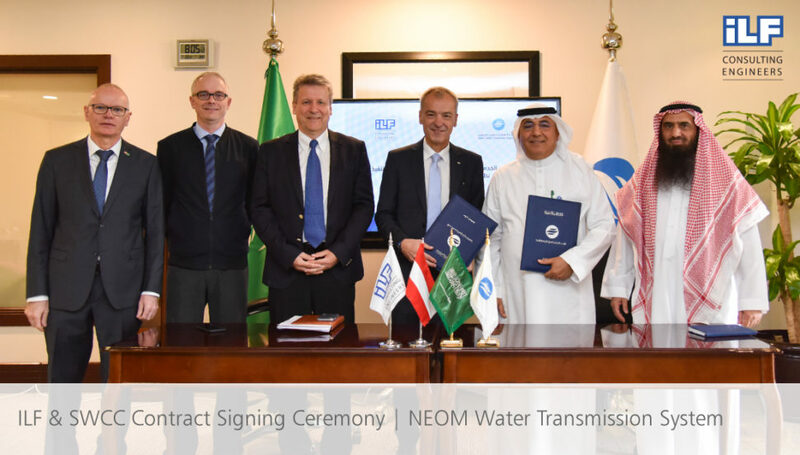 On April 1, 2019, the Saline Water Conversion Corporation (SWCC) awarded ILF Consulting Engineers the design services for the Water Transmission System for NEOM. This project will contribute significantly to the world’s most ambitious development program “NEOM”. On the occasion of the contract signing, ILF’s delegation, consisting of the Executive Vice President, Andreas Ramharter, ILF Saudi Arabia’s Managing Directors, Lars Fjellstroem and Karl Tobler, as well as ILF’s Head of Water Pipeline Engineering, Alexander Heinz, received a warm welcome from both his Excellency Eng. Ali Bin AbdulRahman AlHazmy, Governor of SWCC, and his Excellency Eng. Sharekh Bin Ibrahim Al-Sharekh, Deputy Governor for Technical Affairs and Projects. ILF has successfully been supporting SWCC for more than 40 years in the development of water supply systems for the Kingdom of Saudi Arabia. Joint research initiatives with universities are one of the major drivers of innovation at ILF Consulting Engineers. 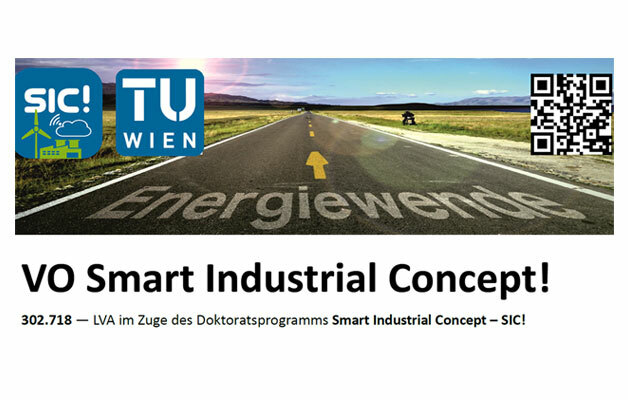 As part of the doctoral program “SiC!” created together with ILF, the Vienna University of Technology offers a lecture on the topic “Smart Industrial Concept (SiC!)”. The challenges of an energy optimized operation of industrial plants, their energy conversion, distribution and storage, and the investigation of their interaction with the general conditions of the energy industry are the focal points of the lecture. Starting in the summer semester 2019, ILF is proud to be able to present the application aspects of the doctoral program in an industrial environment. If you have any questions, please do not hesitate to contact DI Dr. Christopher Binder (christopher.binder@ilf.com). ILF Consulting Engineers, in a consortium led by the Danish company Ramboll, has been awarded a contract for the Baltic Pipe Project (Jutland–Funen) by Energinet (Denmark). Over the next 12 months ILF and Ramboll will jointly be performing the FEED. 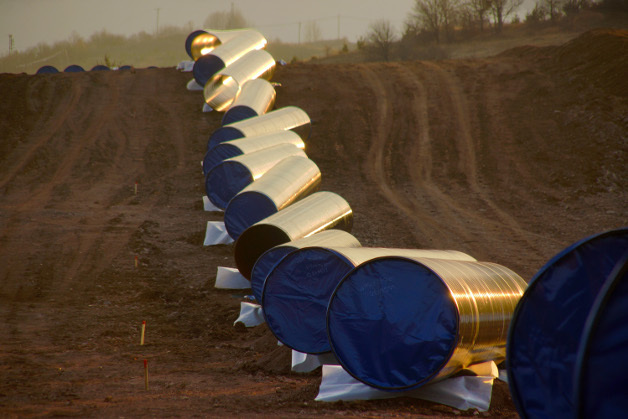 The Baltic Pipe is a new gas pipeline (approx. 300 km onshore, approx. 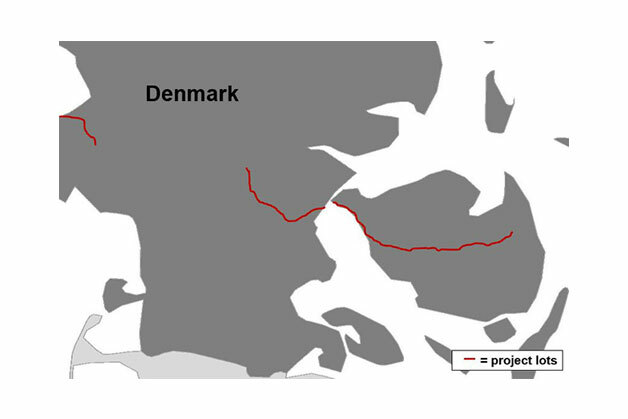 300 km offshore) connecting Norway’s Europipe II system through Denmark with Poland. Operation is scheduled to start in October 2022 and the pipeline will be designed to initially carry 10 bcma of gas with potential for expansion. Once construction has been completed, the gas delivered through this pipeline will contribute to the diversification of gas supplies in Poland by using not only original Russian sources but also other sources like the Swinoujscie LNG terminal extension (7.5 bcma) as well as a potential FSRU project in Gdansk (5 bcma). This new infrastructure will create a regional gas hub for Central Europe via interconnectors to the Czech Republic, Slovakia, Lithuania and Ukraine. ILF is involved at various stages of planning in all of the above mentioned gas projects. 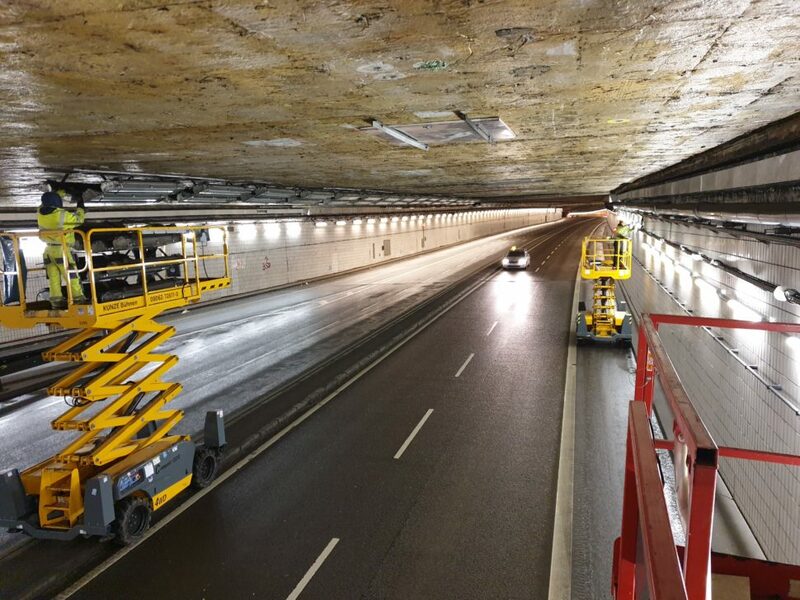 ILF Consulting Engineers has recently been commissioned by the city of Munich’s construction authority to provide supervision and project control and maintenance services for the safety upgrade of the Altstadtring Tunnel. The Altstadtring Tunnel constructed in the 1960s forms part of the inner-city ring road in the center of Munich, and has a total length of 610 m. The tunnel has two to three lanes. A single-lane access road from the Von-der-Tannstrasse allows access from the Altstadtring. In order to adapt the aging tunnel to modern safety standards, retrofitting is to be carried out in the existing tunnel while maintaining tunnel operation and a working tunnel safety system. Due to the location of the Altstadtring Tunnel, construction and commissioning should be carried out as safely as possible and with little disruption. In 2018 the ENR Global Sourcebook published its 77th ranking for top international design firms. 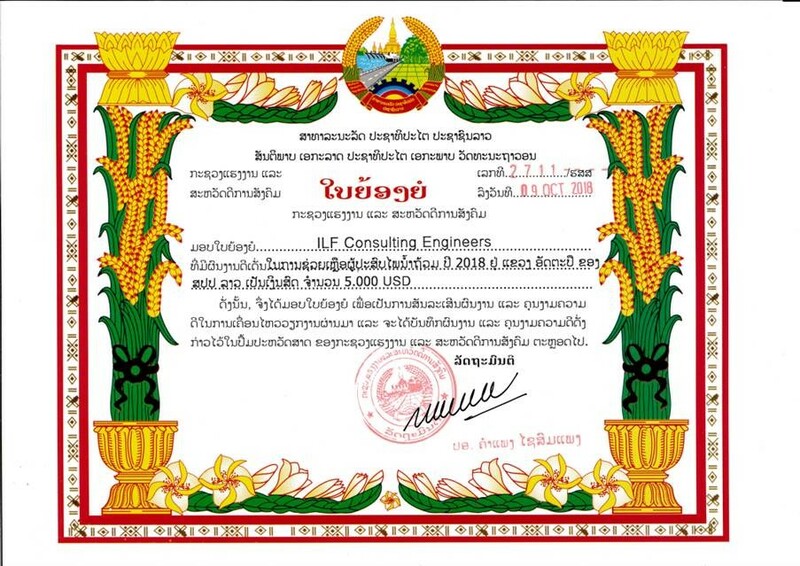 Once more, ILF Consulting Engineers was able to secure its position as a top international design firm for pipelines, being ranked 6th and thus improving on its 10th position from the 2016 ranking. Pipeline projects have played an important role in the ILF Group ever since its founding in 1967. ILF’s first project was the Transalpine Pipeline (TAL), a one-of-a-kind project which, due to its crossing the Alps, was probably the most difficult pipeline project in the world at that time. For more than 50 years, ILF Consulting Engineers has continued to establish itself as a trusted consultant and global player for the designing and engineering of demanding and challenging major pipeline projects. Having sometimes had to break new ground in order to find the optimum solution, ILF has provided its clients with individualized solutions, from planning to decommissioning. 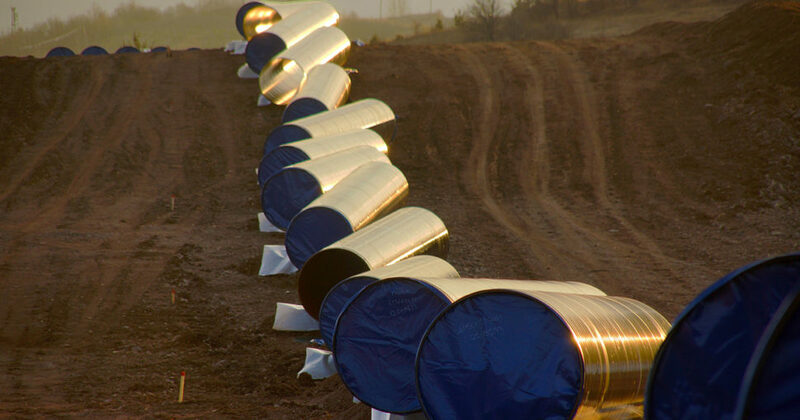 Whether in extreme mountain terrains, under challenging weather conditions, or over long distances, ILF has designed some of the largest pipeline systems in the world. Amongst many others, ILF was involved in the Abu Dhabi Crude Oil Pipeline Project (ADCOP), the Trans-Adriatic Pipeline Project (TAP), the Trans Anatolian Natural Gas Pipeline Project (TANAP), Trans-Asia Gas Pipeline (TAGP), the Turkmenistan-Afghanistan-Pakistan-India (TAPI) pipeline and the Nigeria-Morocco Gas Pipeline. ILF Consulting Engineers is pleased to announce its participation, as a Gold sponsor, in the 14th Pipeline Technology Conference (PTC) taking place in Berlin from March 19th to March 21th 2019. During this year’s PTC, our experts will demonstrate their technical expertise. Tobias Baier will be presenting on the topic of Project Risk Management, and Chuan Cheng on the thermal interaction between adjacent, buried crude oil pipelines. You are most welcome to visit us at stand 48 (Estrel Convention Center, Berlin, Germany) to find out more about our competences and experience in the field of pipeline engineering. ILF Consulting Engineers would hereby like to congratulate our clients on this great success and looks forward to working with you in the future! 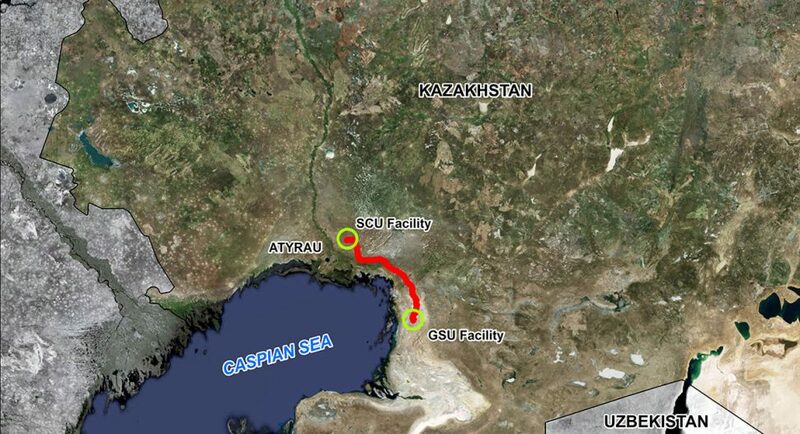 Germany/Kazakhstan, February 2019 – KLPE, an affiliate of the United Chemical Company (UCC), initiated Kazakhstan’s first world-scale GSU project, which, with its total capacity of 1,250 ktpa, is to supply feedstock to the polyethylene plant in the Atyrau Region. The project is being executed as part of a Joint Development Agreement between the UCC and Borealis. ILF Consulting Engineers (ILF) is delighted to have been commissioned to carry out the Project Management Consultancy (PMC) services, including the supervision of a Detailed Feasibility Study (DFS), which will support KLPE in the delivery of this strategically important project. “These strategic UCC initiatives pave the way for the Republic of Kazakhstan’s establishment as a global player in the polyolefin market. By utilizing advanced technologies, engaging world-leading contractors and suppliers, and targeting high levels of safety, reliability and operability, we aim to ensure the maximum return on capital investments” says Maksim Sonin, UCC Project Portfolio Managing Director, and Board Member. “ILF is proud to support KLPE in this professionally-led and rapidly-progressing project. With the team’s ability to integrate ILF’s Western style of project management and Kazakh engineering requirements with local, state-owned project execution processes, as well as the expertise offered by the team, I am highly confident that the DFS phase will create the maximum value for UCC and its partner, whilst supporting their strategy of sustaining Kazakhstan’s development in the polyolefin market” adds ILF Project Manager and Upstream Area Manager Helge Hoeft. The heart of the project is the NGL recovery facility, located close to the Tengiz oil field, with a maximum feed gas capacity of over 7 billion Sm3/a for recovering ethane and heavier components as feedstock for the polyethylene project. In addition, a feed gas pipeline from TCO’s facilities, an approximately 180 km long C2+ export pipeline to the polyethylene plant, and a redelivery gas pipeline to the GEEP pipeline, are within the project scope. ILF Consulting Engineers will be represented at the 3rd Annual International Congress and Exhibition: Hydropower Caspian and Central Asia 2019, organized by Vostockcapital, in the Biltmore Hotel from February 20 to 21, 2019. 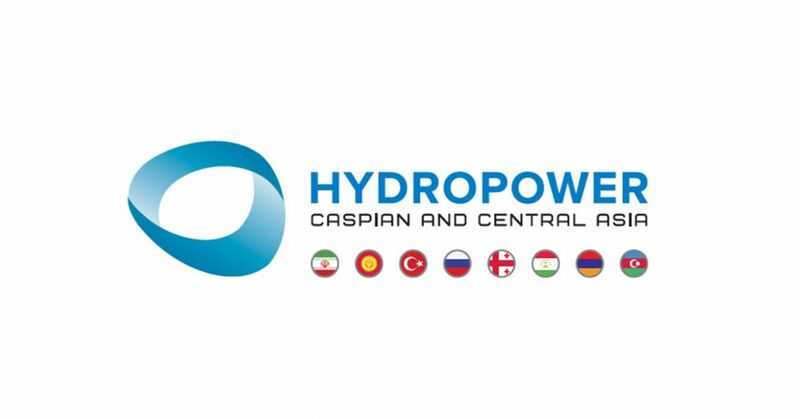 High-level participants will discuss key topics and set the course for hydropower construction and operation in the Caspian and Central Asian region. 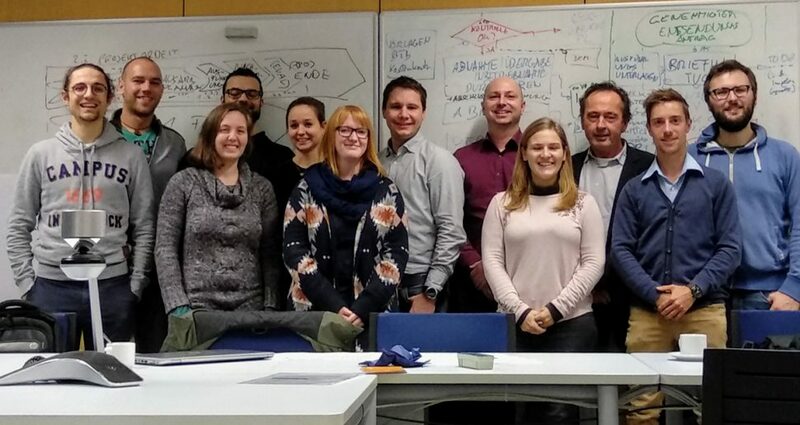 “Contributing to improving quality of life around the world” is a motto that not only fits with ILF’s vision, but certainly also applies to the association Engineers without Borders Austria (IOG – Verein Ingenieure ohne Grenzen Austria). For more than a year now, the two institutions have been successfully collaborating with each other, most notably on the Tyrolean regional group’s “EduZapa” project. As part of this project, the Tyrolean regional group, which includes some ILF employees, has been improving educational opportunities for school pupils in rural Mexico, since 2016. To ensure that the 3rd project implementation phase was carried out at a high technical level, the planning of the drainage and roof truss was examined by experts from ILF. Several workshops on the topic “Internal Processes” were also held by ILF. Both ILF and the Tyrolean regional group value the fruitful cooperation with each other, and look forward to continued collaboration during the 4th project implementation phase planned for this year. At the end of last year, ILF Consulting Engineers was commissioned by EnergyAustralia as provider for independent verifier services for the pumped hydro project using seawater at Cultana in South Australia. The facility would be capable of producing 225 megawatts (MW) of electricity with around eight hours of storage. That’s the equivalent of installing 126,000 home battery storage systems, but at a third of the cost. Pumped hydro works by using two bodies or reservoirs of water, one at a high elevation, at the top of a hill, and another at a lower elevation, at the bottom. 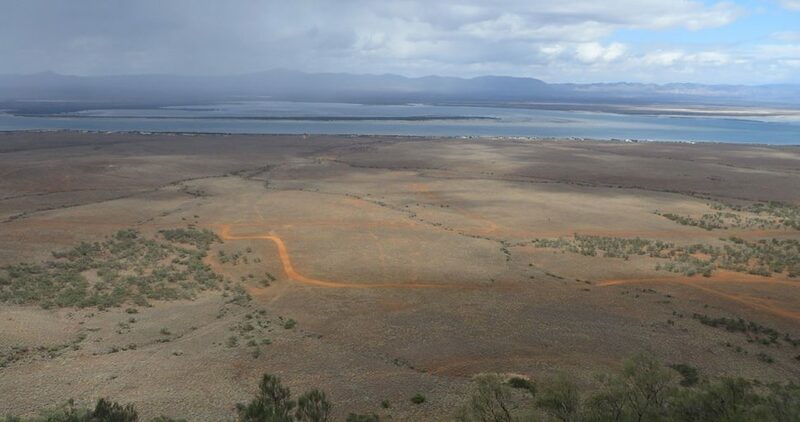 The Cultana project will also include two penstocks, a powerhouse containing two reversible Francis turbines, a tailrace structure and a seawater intake/outfall structure as well as a connection to an existing 275 kV transmission line and balance of plant systems. The water to fill the reservoirs will be sourced from the Spencer Gulf. This water will pass through a pre-treatment filter and then be desalinated via a reverse osmosis process. It’s potentially a great, cost-effective way of integrating renewable power and ensuring energy is reliable and affordable. 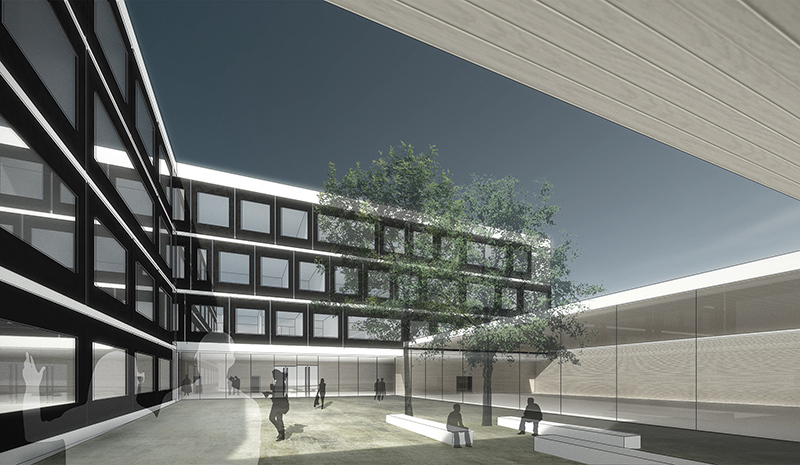 Together with DIN A4 Architektur, ILF Consulting Engineers won the overall design services competition for the “IST Austria Laborgebäude für Life Science und Seminarzentrum” in Klosterneuburg (Lower Austria), achieving 1st place against tough competitors. The new laboratory building and seminar center shall have a total usable floor area of approximately 13,300 m², and shall be a concrete structure. Construction is scheduled to begin in 2020, with completion planned for 2022. Within the joint venture, ILF has been entrusted with the project management services, the structural design, the HVAC planning, as well as occupational health and safety management during the project preparation phase in compliance with the Austrian BauKG (Construction Works Coordination Act). 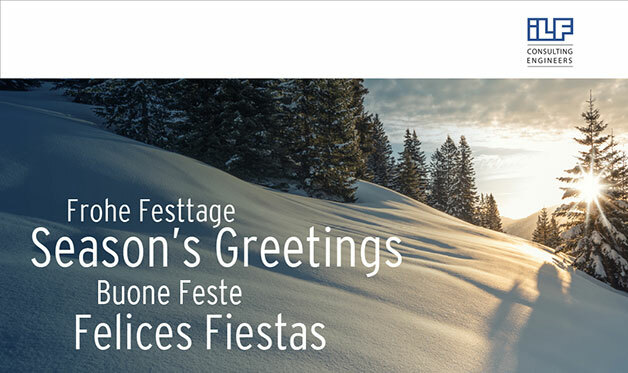 Seasonal greetings and best wishes for 2019! Besides diverse challenges that we faced, the year 2018 that is drawing to a close also brought us many encouraging developments. All in all, a sense of great satisfaction and gratitude prevails regarding what we have achieved together. Our sincere thanks go to our esteemed clients and business partners for their constructive cooperation. Wishing you a peaceful holiday season and a healthy and prosperous 2019! 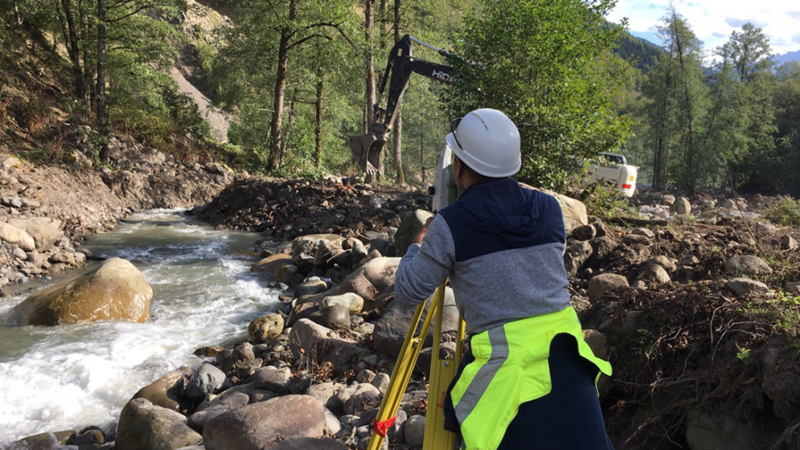 In September 2018, the Austrian Georgian Development LLC commissioned ILF Consulting Engineers to carry out the construction supervision services for the Lakhami 1 and Lakhami 2 hydropower plants. The project comprises the hydropower development of the Lakhami River, which has its source at over 3,000 m a.s.l. and originates from the eastern slope of the Kodori Ridge, before it enters the Nenskra River. The Lakhami Upper and Lower hydropower plants are planned on the Lakhami River, north of the Town of Khaisi, in the Svaneti Region in Georgia, at the foot of the Greater Caucasus mountain range. The Lakhami 1 hydropower plant will have a design capacity of 6.4 MW and the Lakhami 2 hydropower plant a design capacity of 9.5 MW. They will be implemented as a cascade. Both plants are designed as diversion hydropower schemes with buried pipe waterways. 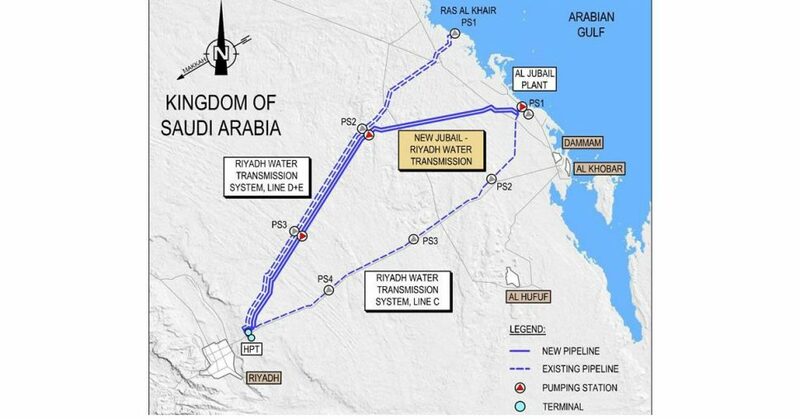 In September 2018 ILF Consulting Engineers was awarded the contract for the detailed design services for the Jubail-Riyadh Water Transmission System. The 412 km long twin pipeline, with two 88” pipes, will be one of the largest water transmission systems worldwide, and will transport 1.2 million m³ of potable water per day. The project includes one pumping station in Jubail, two intermediate pumping stations along the route, and two tank farms each with a storage capacity of 1.2 million m³. For the implementation of the project, the Owner SWCC chose the EPC Contractors LIMAK (station construction) and RTCC (pipeline construction). Both contractors have commissioned ILF for the design works. ILF’s scope covers design services for all disciplines including site support during commissioning. 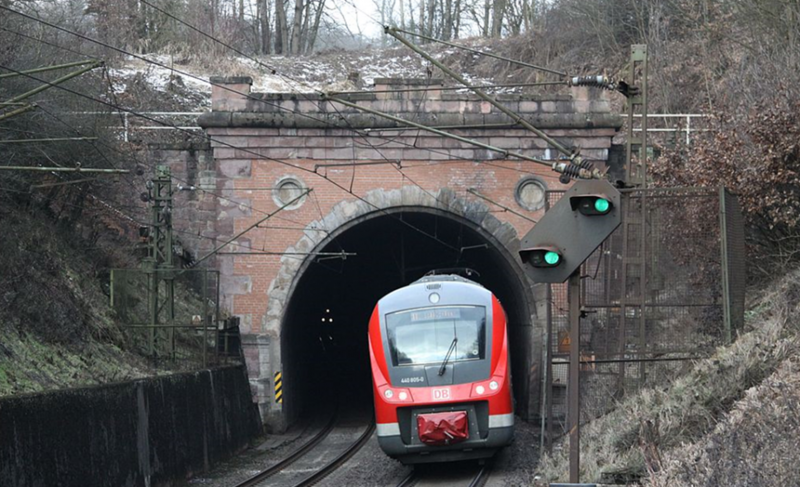 Just recently, ILF Consulting Engineers was awarded a contract for the design of the second tunnel tube of the Gotthard road tunnel in a consortium with three other engineering firms. 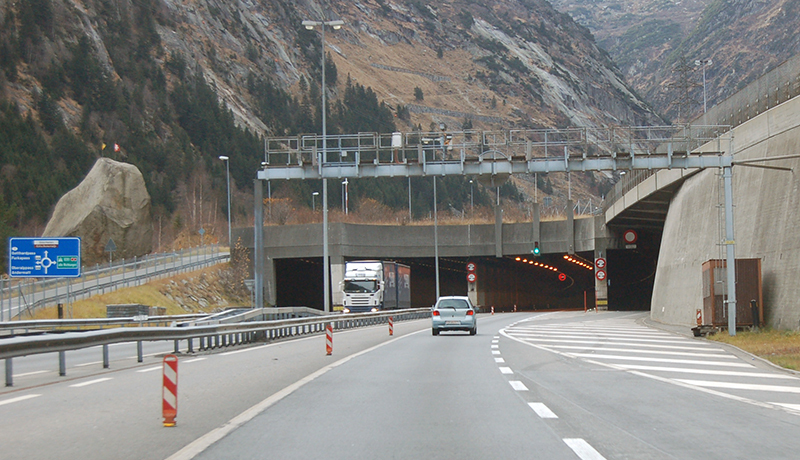 Having a length of 17 km, the Gotthard road tunnel is the fourth longest road tunnel in the world and the longest road tunnel in the Alps. In addition to several cross connections to the existing tunnel and underground ventilation stations, the project also comprises two 5-km-long access tunnels and associated external facilities. The design will start in November with the preparation of the detailed design. This will be followed by the preparation of tender documents and the challenging construction design through to commissioning. ILF is looking forward to applying its wide-ranging experience from the Gotthard Base Tunnel project and other road tunnels to this project. In late October 2018 ILF Consulting Engineers won a contract, in an engineering consortium with three other German engineering offices, for the general design works incorporating the renewal and rehabilitation of the approx. 56 km long railway line from Flieden to Gemünden (Hesse/Bavaria) of DB Netz AG. The project is considered a pilot project as essential parts of the renewal and rehabilitation of the line that was put into operation in 1868 have to be carried out in the course of a complete closure of the route section and within a period of one year. The key element of the measure is the complete renewal of five tunnel structures on this route, with ILF being responsible for a significant part of the tunnel design services. 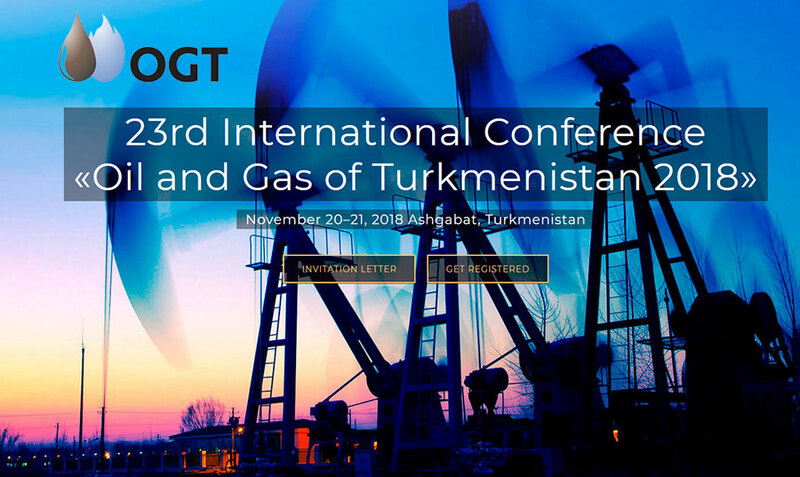 ILF Consulting Engineers is pleased to announce its participation, as an official sponsor, in the 23rd International Conference “Oil and Gas of Turkmenistan 2018” (OGT) taking place in Ashgabat, Turkmenistan, from November 20 to November 21, 2018. As part of this year’s conference, our experts will present their technical expertise in the field of associated gas usage, during session 1 on day 2 (Mr. Michael Napel), as well as their expertise in pipelines and project management, during the discussion session on the TAPI pipeline project on day 2 (Dr. Stefan Buerkle). Feel free to visit us or schedule a meeting to learn about our competencies and experience with oil and gas projects. Let us know how we can help you tackle your challenges (info.muc@ilf.com)! For further information on the conference, please visit the website at http://ogt-tm.org/. Following the Xe-Pian Xe-Namnoy dam collapse in the Attapeu province in southern Laos, on 23 July, 2018, a tidal wave of mud and water not only destroyed many villages and fields, but also took 66 lives. Some 100 people are still missing and around 6,500 people have lost their homes. Since ILF has been involved in the successful implementation of hydropower plants in the country for around three years, the company has made a donation of 5,000 USD to the flood victims to aid them in the restoration of their livelihoods.